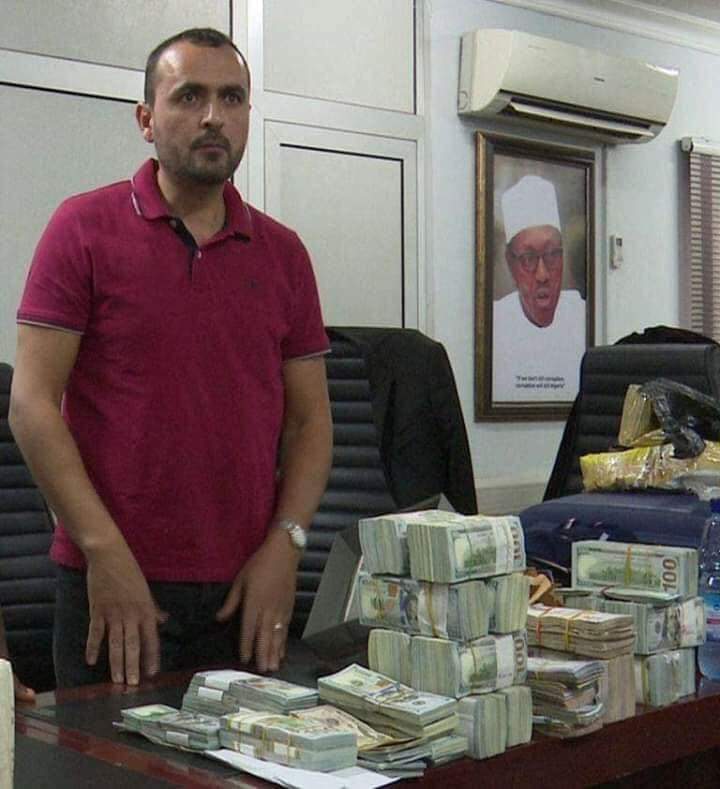 The Economic and Financial Crimes Commission (EFCC) has arrested one Abbas Lakis, a Lebanese for money laundering offence. A statement from the anti-graft agency on Friday revealed that Lakis arrested by its operatives at the Nnamdi Azikiwe International Airport, Abuja. The suspect was picked up following intelligence report that he had on him undeclared huge sums of monies aboard the Egypt Airline bringing him from the Kano Airport en route Lebanon. “At the point of arrest, a thorough search on his luggage, uncovered $2,104,936 (two million, one hundred and four thousand, nine hundred and thirty-six dollars); £163, 740 (one hundred and sixty-three thousand, seven hundred and forty pounds); €144,680 (one hundred and forty-four thousand, six hundred and eighty euros),” the statement said. Other currencies found with Lakis, according to the EFCC, include Riyal 391,838 (three hundred and ninety-one thousand, eight hundred and thirty-eight riyals), and CHF 3,420 (three thousand four hundred and twenty Swiss franc). Also found in the possession of the suspect are Lira 435 (four hundred and thirty-five lira); £109,000 (one hundred and nine thousand Lebanese pounds); Dirhams 10,135 (ten thousand one hundred and thirty-five UAE dirhams); ¥10,000 (ten thousand Chinese yuan); and Riyal 10 (ten Qatar riyal). The EFCC said Lakis would be charged to court as soon as investigations were concluded.